June | 2015 | how do you like them green apples? how do you like them green apples? The continuing adventures of uncensored nutrition, and death defying feats of natural medicine! I have a few staples that I always have on rotation. 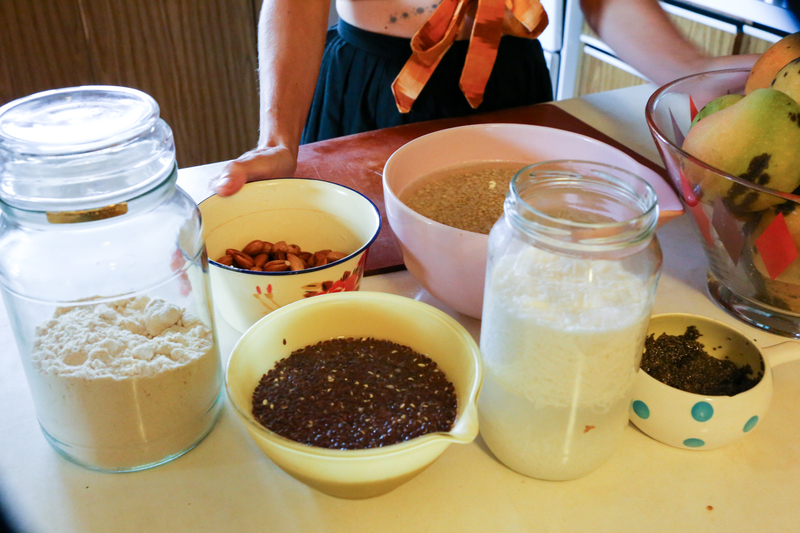 Things I prepare in big batches and have on hand for times when life is busy. In these times, I’m hoping I’ve got cupboards full of jars and freezers full of boxes. One of the great staples I’ve discovered, is my raw cereal. I call it a cereal because that’s how I like to eat it, with some kind of milk, or yoghurt, often with fruit and a drizzle of honey. My daughter prefers it more like a biscuit or a cookie. I try to make batches of it where I don’t include any nuts, and then they are perfect in her lunch box at school. The combinations are endless, and dehydrating is a great way to make use of any seasonally abundant produce you may have. 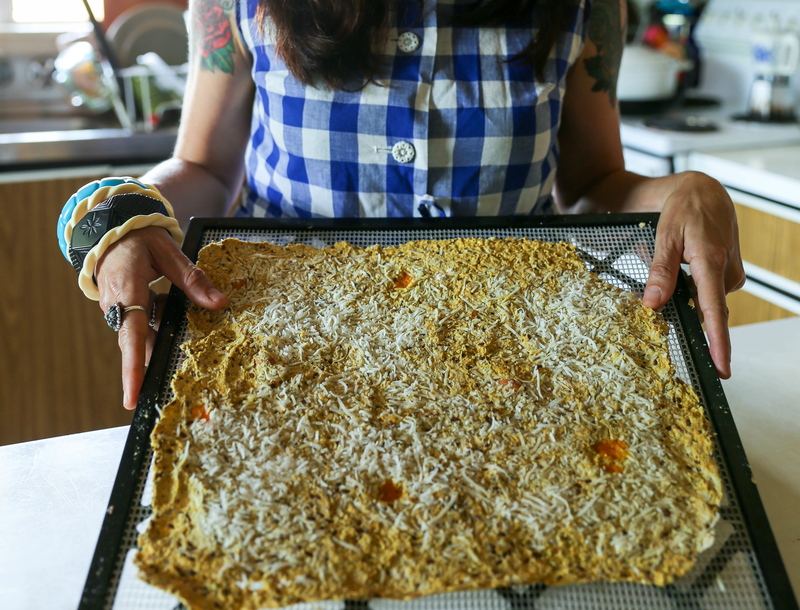 If you haven’t yet run out and bought a dehydrator, after the enthralling and compelling Kale chips post- then let this serve as further motivation! Like I said, when I got my paws on my Excalibur, I never looked back. But whatever the brand- you are making an investment in your wholefoods kitchen and increasing the efficiency of all kinds of food preparations/preserving. Now, like the Kale chips, you can make this in your oven, and I know many folks who do. There are a few draw backs with using the oven- 1) you don’t have control over the temperature to the same extent, which means you can easily burn or cook your cereal. 2) Lack of temp control means you can’t really say your end result is bonafide “RAW”- this may or may not matter to you 3) A dehydrator is set up to accommodate many rows or trays. Mine is a 9 tray. In terms of energy and time efficiency you get more bang for you buck (and hour) with a dehydrator. 4) A dehydrator can be left on all night or when you go out. You may or may not like to leave your oven on in the same way, especially if it’s gas. So there. Put that dehydrator on the top of your wish list. Until then, don’t let me put you off trying some of these goodies. The more you get in to the swing of making and enjoying them, the more likely you are to get the right equipment for the job. I have tried a lot of different bases for the cereal, and I have found that raw buckwheat is the best. It becomes soft with soaking/sprouting and when it is dehydrated, it is nice and crunchy without being too hard. I’ve tried spelt grain in the same way, and the dehydrated result, though entirely edible, isn’t as nice. 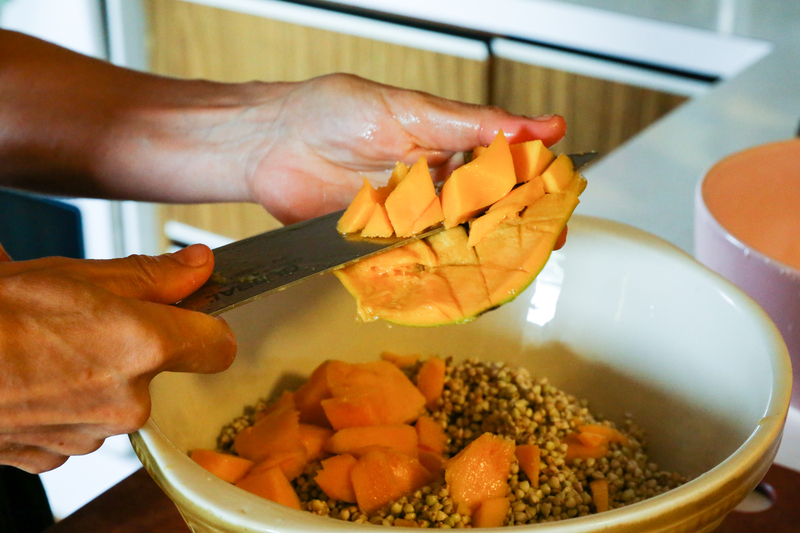 Depending on the batch size, you may start with 1- 2 cups of raw buckwheat, and soak in double the amount water over night. 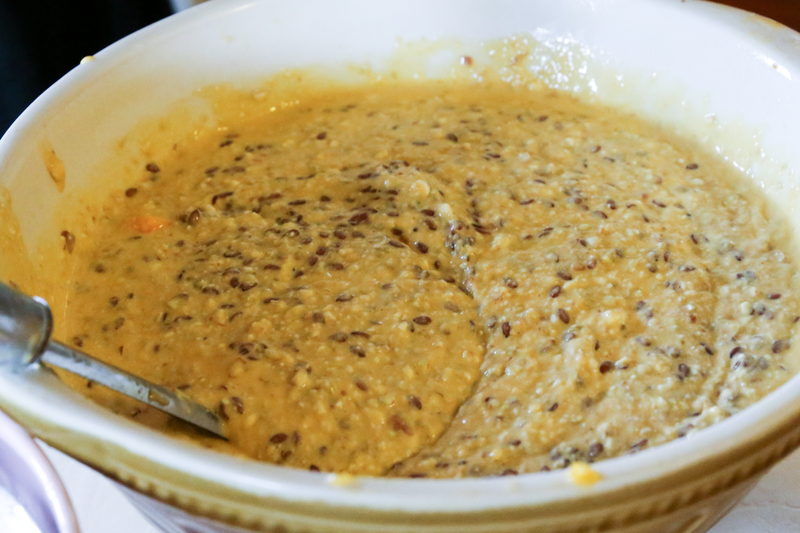 If you want to sprout the buckwheat, to enhance nutrition and digestibility, check out the method described on my post on the fermented dosa. Buckwheat is amazing versatile and under utilised. 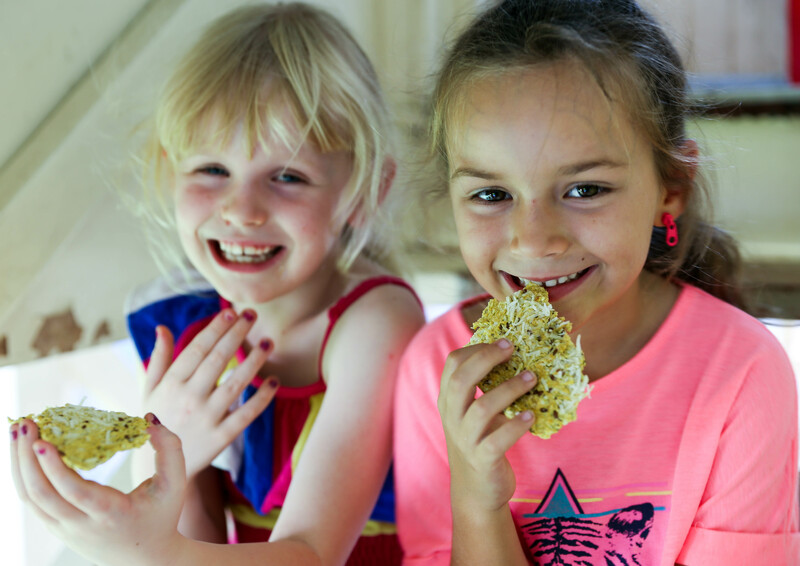 It is a seed, not a grain, high in protein and bioflavonids, and it is also gluten free. Time for the humble buckwheat to take to the stage- front and centre please! Here my buckwheat has already been soaking and has been drained and rinsed. The second half of the base, I usually use another nut/seed of some kind. 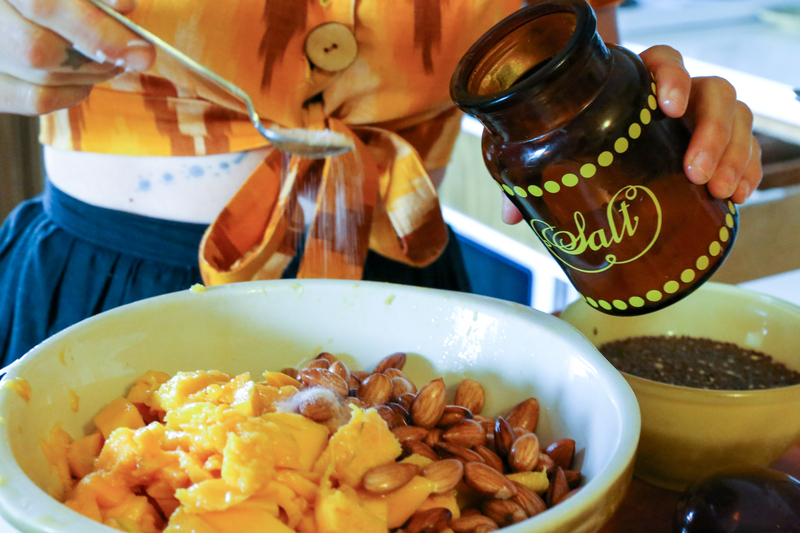 Nuts are a fantastic source of protein and omega fatty acids- however, in the modern world of the hysterical immune system- anaphylactic allergies are rampant. Meaning of course the end of the P.B.J era (peanut butter n’ jelly in case you missed it)- but also the end of this healthful food being allowed at most schools/preschools. As a health conscious parent, this is a REAL drag. But of course, we don’t want to risk anyone having a reaction to our lunch, so… seeds it is. I usually mix together equal parts of flaxseeds, sunflower seeds, and pumpkin seeds- ALL RAW. 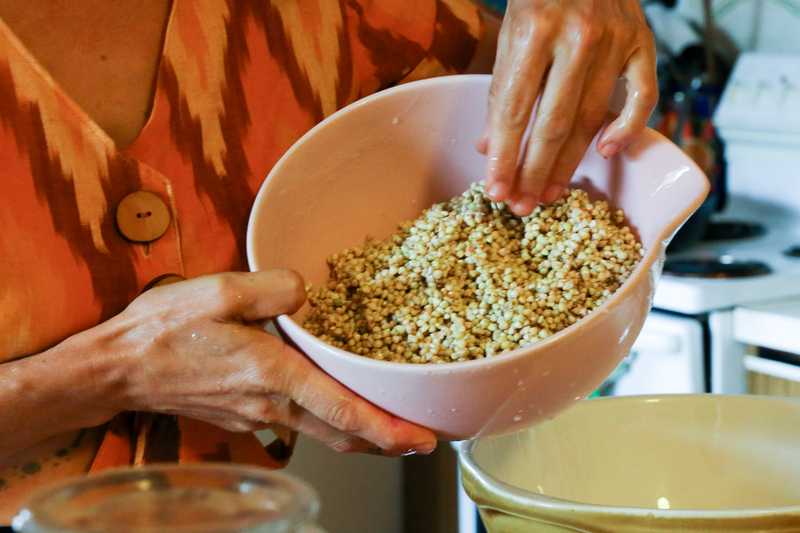 Chia seeds and sesame are also included at times- and if you can get your hands on hulled hemp seeds, by all means- add them too. If I was using nuts for a home-only batch, I would probably go for almonds, cashews, pistachios, pecans. I generally use equal parts seeds/nuts to buckwheat, soaked 24 hours. This batch is a home batch- so I’ve got almonds to add to the mix. Along side is flax seeds, chia seeds, desiccated coconut and coconut flour. Next you need some kind of fruit. I use seasonal fruit and there are no rules. I often use bananas as they never really out of season where I live (I’m spoiled). They make a great creamy consistency to the mix, are naturally really sweet, and dehydrate well. 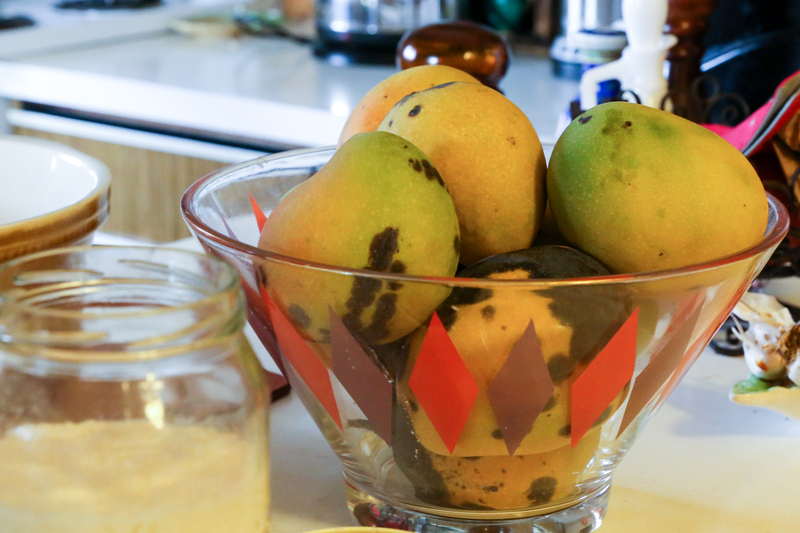 When I made this batch- I was drowning in mangos (incredibly decadent). I’ve written a post on eating seasonally and foraging, inspired by the bumper crop we had this year. Frozen berries can work too, or a combination of whatever you’ve got. Spotty mangos from a friends tree. Gotta preserve these guys FAST! Those are basic ingredients to your raw cereal. But don’t stop there! There are heaps of extras you can add to the mix to create a particular flavour or variation that makes each batch it’s own special thing. I often have a couple of batches on the go. One say, really chocolate- another more fruity/tropical. Some extras to consider adding to your cereal may include: Raw cocoa (can you say- cocopops?! ), Acai powder, Maple syrup, Honey, Vanilla bean, Cinnamon, Nutmeg, Essences of almond/orange/rose (rose and pistachio with strawberries! YES! ), Fruit slices- thinly sliced strawberries or banana spread out over the top, salt (I use Himalayan salt), Spirulina (Great with cocoa and mint essence) … As you can see- the possibilities are endless. 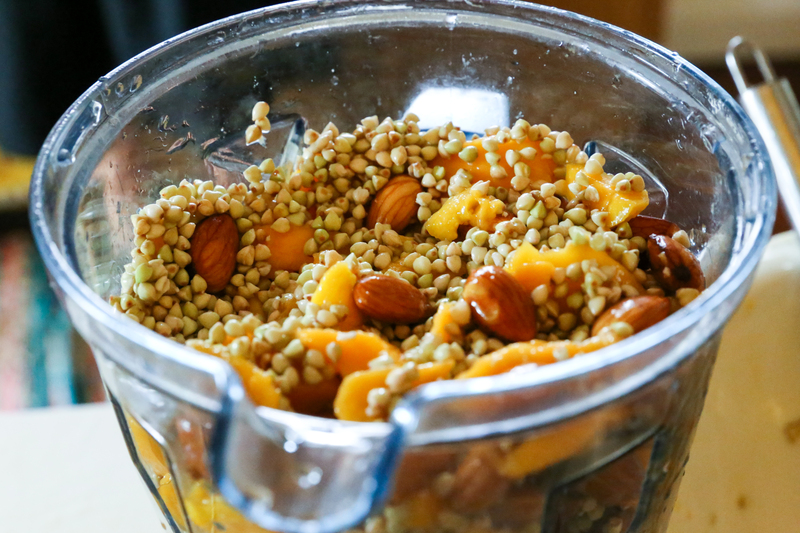 Blending Once you’ve combined all the ingredients- it’s time for the blender. I’m sure you could use a bar mix for the job- I use a high speed blender. I like to have quite a chunky mix- so there are lots of textures. Crunchy nuts and leathery dehydrated fruit all get their place. One way to achieve this is to blend half the mix until it’s a smooth porridge consistency- then add the other half and just pulse it enough to chop. The trick is adding just the right amount water to make the combination porridge-like. Add a 1/4-1/2 cup of water- blend- then stir before adding more. You can also at this stage add extras to the mix- like sweetener. I won’t lie. If I’m making a kid friendly batch- I need to add sweetener. Mine don’t LOVE it just with the sweetness of fruit. I’ll usually use honey or coconut sugar at this stage, though maple syrup sometimes is a nice flavour addition. I’ll leave you to decide how much sweet is good for you- taste as you go. Another thing I may add at this stage is coconut flour. 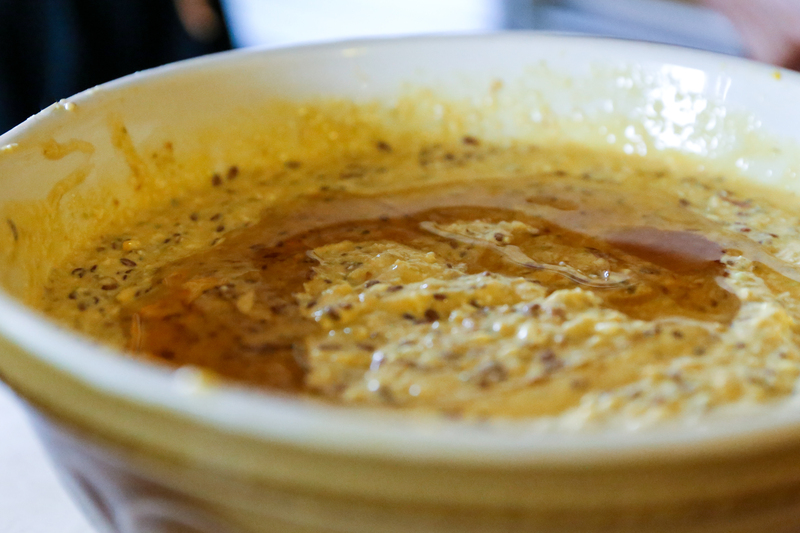 I’ll stir through just enough to make the texture of the mix a bit more creamy- it can really add a lovely consistency. Make sure it’s completely blended and smooth, not dry. Stir in the honey and coconut flour. Next step is to spread the mix out on your dehydrator trays. I use baking paper to line my trays. I didn’t buy the teflex sheets that some people use. I did a bunch of reading on both teflex and the silicon in baking paper- and there seemed to be areas of concern for both. It’s unclear if either substance leeches in to the food at low temperatures, and seeing as this will be dehydrated at the standard for raw foods- 41C or 105F, I’m comfortable with that. 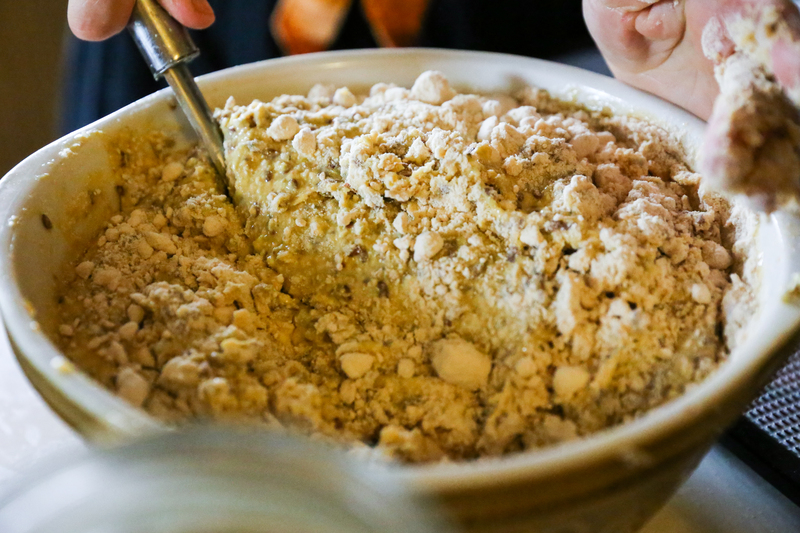 Spread the mixture using a spatula until it’s about 1-2 mm thick. 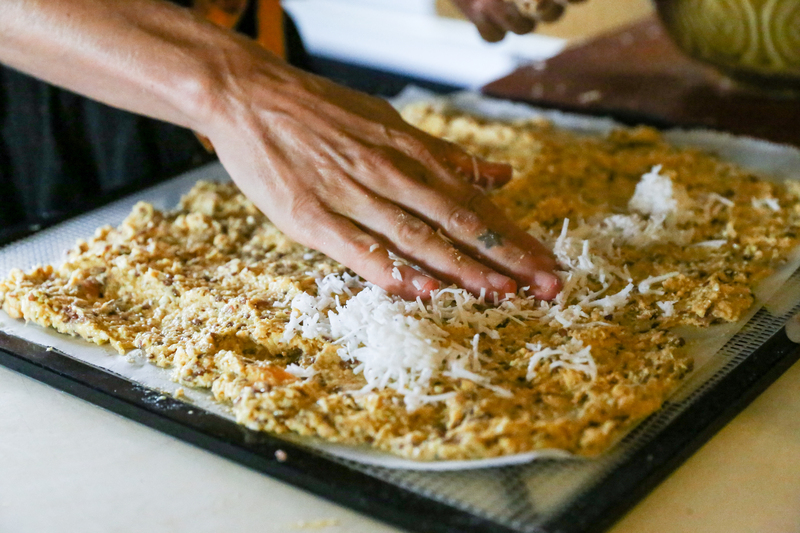 I’m pressing desiccated coconut on to the top of the batch- not blended- to add extra crunch and texture. There’s no exact time you need to leave you cereal going for- somewhere between 10-12 hours. Once they’ve become solid enough, peel the paper off, as it helps them to dry faster. Make sure there are no soggy or moist bits and any fruit chunks are throughly dehydrated before storing. Break the sheets of dried cereal in to “flake” size bites, or leave in larger chunks and eat as a biscuit. The cereal keeps for couple of months in an air tight container or jar. IMPORTANT! This recipe is for a sweet, cereal or biscuit. 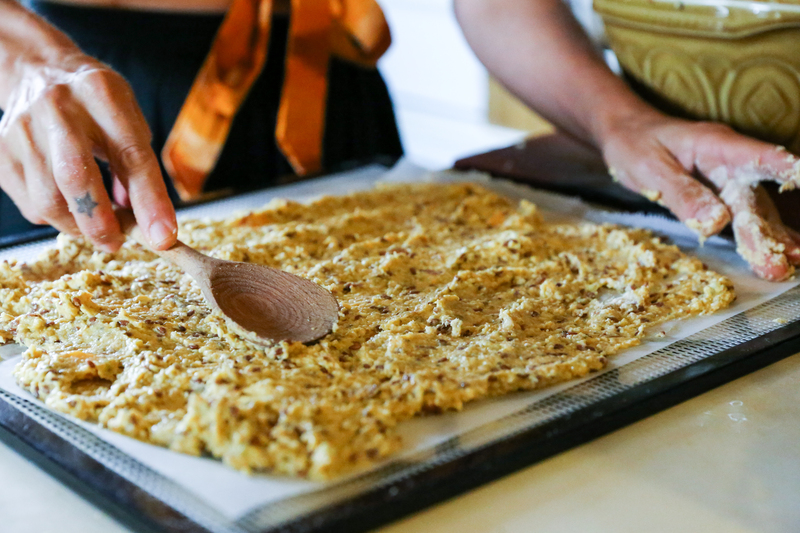 However simple variations can make an equally delicious savoury crisp bread! Instead of fruit- add tomato/grated zucchini, carrot, beetroot, fresh herbs (dill, basil, oregano are great), garlic/onion, diced spinach/kale, nutritional yeast, smokey paprika, balsamic vinegar. I once made a batch of raw nachos using buckwheat, almonds, sweetcorn, garlic and nutritional yeast. YUM. Top with avocado/hummus and microgreens and you’ve got a delicious quick snack. So many variations are possible. Just get creative and let the produce of the season inspire you. Photography courtesy of Rebecca Rushbrook Photography.